Blog o studiu na univerzitě ve Spojených státech a o všem, co k tomu patří očima studenta na Soka University of America. 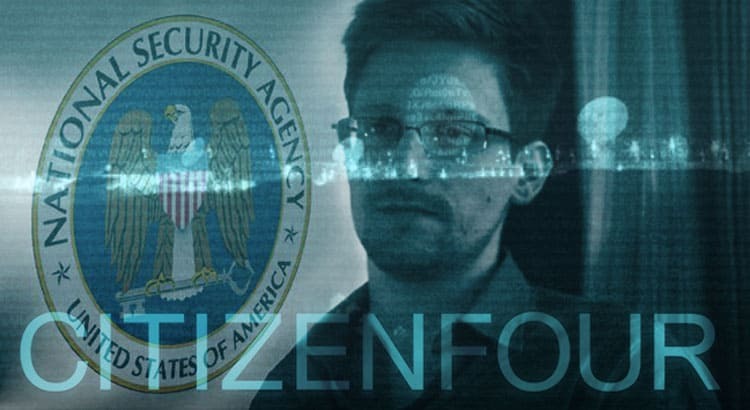 The 2014 documentary film Citizen Four reveals the shocking truth about the U.S. government’s virtually unfettered surveillance practices. Directed by Laura Poitras, the documentary’s implicit argument revolves around the illusionary nature of American freedom. The argument seems to come down to the question of civil liberties vs. security, representing a Sophie’s choice where the government stands clearly by the latter. However, the film shows that such a stance is necessarily hindering Americans’ individual freedoms. While the government’s point of view reflects the conviction that these are willingly surrendered for the sake of safety and security, as in Hobbes’ Leviathan (where the state is the sovereign), the individuals in the film argue the opposite. The film effectively appeals to ethos in several ways. It begins with an interview of a former NSA employee, asserting its credibility right away. It proceeds to suddenly depict Edward Snowden, the famous NSA whistleblower, who speaks on the mass collection of data (metadata) by the NSA. As an expert – a hacker – Snowden grants the film yet another dose of ethos and logos, mainly through his detailed description of the surveillance program’s world-wide infrastructure. He mentions that using “what’s called ‘the selector’,” one obtains a sophisticated profile of almost anybody around the world with real-time notices should anything rendered suspicious occur. Slowly, the strongest appeal in the film – pathos – begins to surface. It can be felt through the portrayals of secret meetings in Hong Kong, paranoia caused by a the loud sound of a hotel fire alarm or the fact that Snowden’s wife was interrogated by the U.S. government. The film makes an ethical statement similar to the one made in A Hacker Manifesto. Both advance the argument that information should be free and accessible to everyone. While A Hacker Manifesto is more concerned with the commodification of information, Citizen Four focuses on the state’s monopoly on the possession of information. Specifically, it argues against the unconstitutional, unlawful collection of personal information without people’s consent. The state apparatus’ ‘war of information’, as portrayed in the film, stands as an antithesis to Snowden’s (and perhaps all ‘hackers’) belief that surveillance “limits the boundaries of [people’s] intellectual exploration.” As Snowden put it when talking about his personal motive: “I feel good […] to know that I can contribute to the good of others.” Although one could argue that surveillance indeed is a tool for ensuring our security, an aspect the film could have given a bit more attention to, the film’s argument is considerably strong by its appeal to civil liberties and government impunity. While, today, liberty is deemed essential at the individual level, the perverse symbiosis between the state and the ‘vectoralist’ class stands as challenge to this norm. So where does one draw the line between what is what is not justifiable? And, more importantly, who gets to draw it?